In Rabi-Ribi, press F5 or F6 to open the custom maps menu. Select the custom map and start a new game. This was the original method before the 1.8e beta / 1.85 started supprting custom maps. Start up Rabi-Ribi and start a new game normally. Note: Even if you do not back up your maps, you can easily restore your original maps by using the Verify Game Integrity option on steam. Rabi-Ribi (1.8e/1.85 onwards) includes the ability to modify cutscenes and character dialogue for custom maps. By default, the game makes use of the files in Rabi-Ribi\localize for its cutscenes. 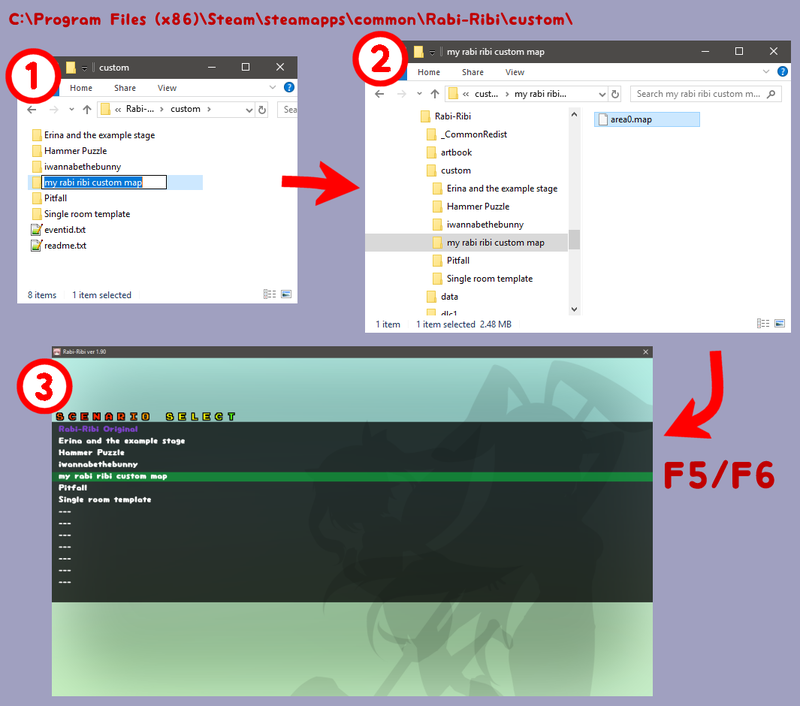 If you create the files story_emot.rbrb and story_text.rbrb and place them in your custom map folder (Rabi-Ribi\custom\<your map name>\) together with your map, these ifles will be used for dialogue/cutscenes instead. More information on the contents of these files can be found in the Detailed Documentation. Rabi-Ribi (1.8e/1.85 onwards) includes the ability to replace the current tileset with a custom tileset. If tile1_a.png is placed in the Rabi-Ribi\custom\<your map name>\ folder, the game will use that instead of the default tileset. 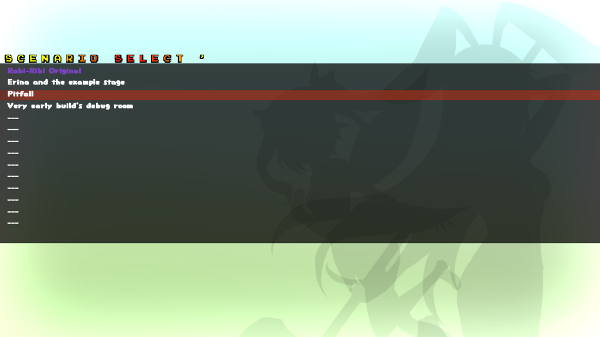 Rabi-Ribi (1.8e/1.85 onwards) contains a Debug mode, which displays all event triggers in-game. To turn this on, add -debugshowevents to the launch options.